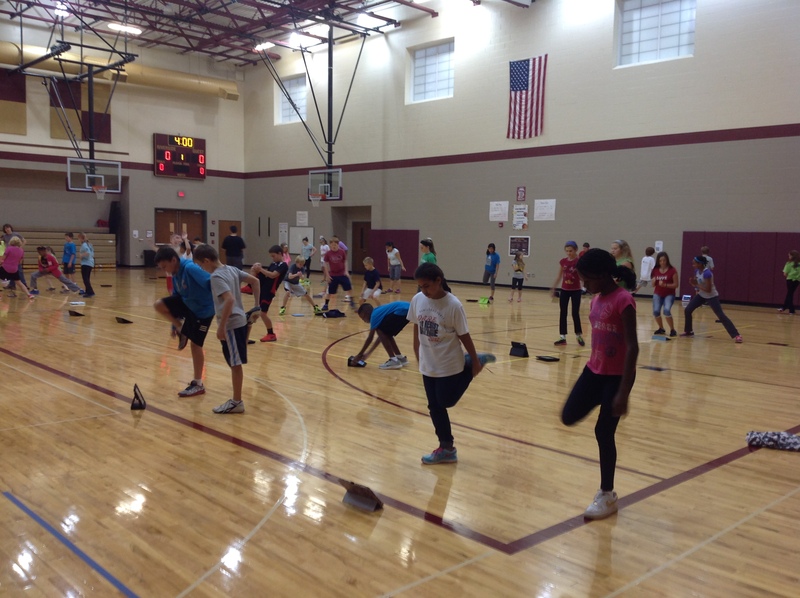 The Riverside Intermediate Physical Education Department has just begun the 8-week Change the Play Challenge, sponsored by Riley Hospital for Children at Indiana University Health. Through Change the Play, Riley has partnered with Andrew Luck, Indianapolis Colts quarterback, to promote childhood nutrition and good health. The challenge includes professional advice and video tutorials about how students, teachers and families can “tackle” this very important topic both at school and at home. Change the Play is another prime example of HSE21 collaboration throughout a learning community! In addition to completing daily challenges at school, P.E. teachers Jill Berry and Adam Vincent are encouraging families to complete the tasks together at home. Through this fun and motivating program, Berry and Vincent hope families will enjoy working together toward better health!